These lightly sweet greens pack quite a phytonutrient kick! An easy way to cook greens and fit their array of phytonutrients into your diet. The recipe is gloriously simple and the result is a delightful accompaniment to any main meal. Lightly sweet greens for a phytonutrient kick! A delightful accompaniment to any main meal. Remove stems from Swiss chard and cut leaves into small pieces. 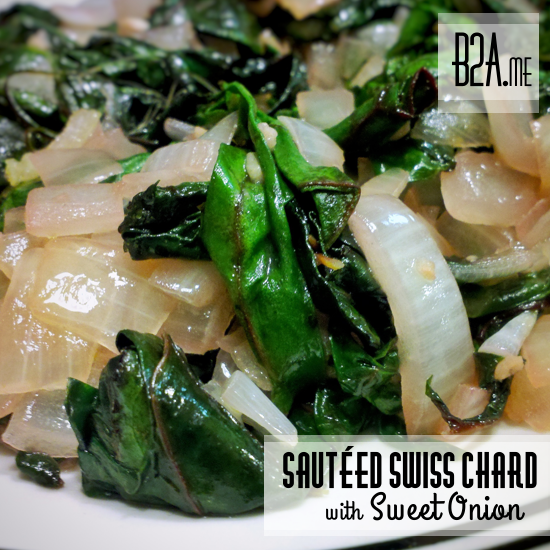 Sauté Swiss chard in 1/2 tbsp of butter on low heat for several minutes until slightly wilted. Add garlic, onions, and remaining 1/2 tbsp of butter.